Unfortunately, wandering behavior, whether it's searching for the kitchen in your own house or trying to drive to your former place of work, is a common issue for those with Alzheimer's disease. Six in every 10 Alzheimer's patients suffer from wandering behavior, and become disoriented even in familiar surroundings. Many cannot recall their name or address, so cannot effectively reach out for help while lost. Such behavior not only causes emotional distress for those with Alzheimer's and their loved ones, but it can also be dangerous and even put lives at risk. Wandering patients with Alzheimer's or other forms of dementia can become lost for days or accidentally wander into busy traffic or fall into other dangerous areas, such as open water. Signs that an Alzheimer's patient is at risk for wandering behavior include returning home late from activities and outings; trying to fulfill former obligations, such as going to a job one no longer holds; and acting as if doing a chore but not actually accomplishing anything. There are several ways caregivers can reduce wandering, including trying to redirect the patient to another activity, putting up fences around dangerous areas and labeling the rooms in the house, according to the Alzheimer's Association. Alert devices are also helpful in dealing with wandering, the association says. Aerotel's GeoSkeeper, offers a unique way to monitor the whereabouts and protect the lives of those who suffer from wandering. 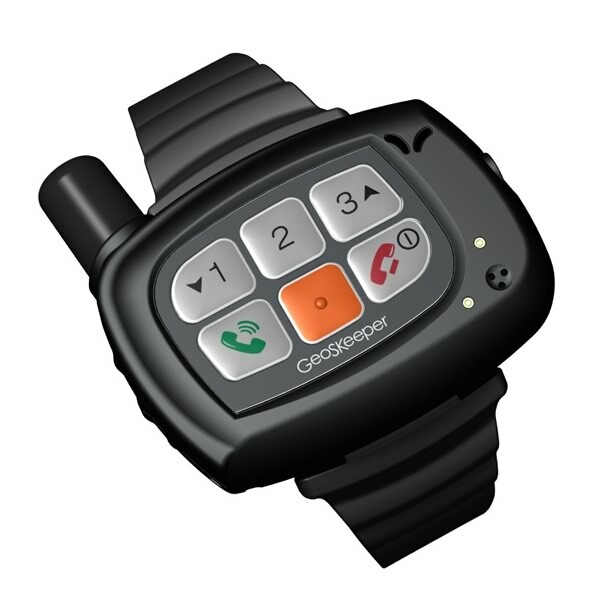 The small device, about the size of a wrist watch, is equipped with GPS and an alarm button the wearer can push when help is needed. The device also includes a built-in mobile phone system so patients can communicate with preprogrammed contacts or emergency services. Patients can also receive calls via the device. Caregivers can easily program the device over the Internet, adding contacts or setting alarms. Caregivers can also track the location of the patient at all times. One feature allows the caregiver to set a safe radius for the patient to be in, and if the patient leaves that geographic radius, the caregiver will be alerted. In addition to helping Alzheimer's and dementia patients, the device could also be helpful useful for children, lone workers or people with other health conditions.